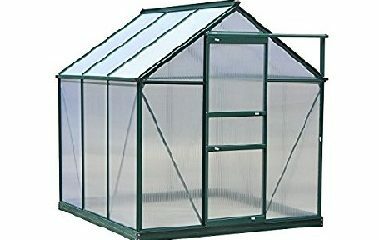 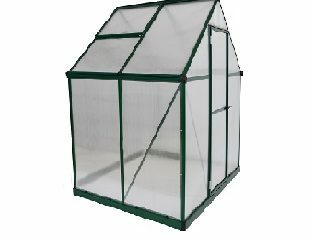 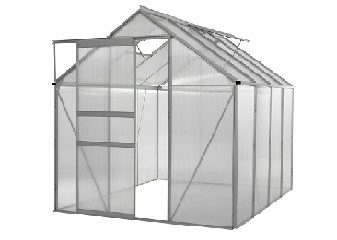 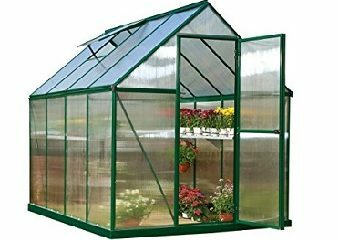 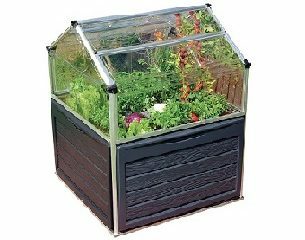 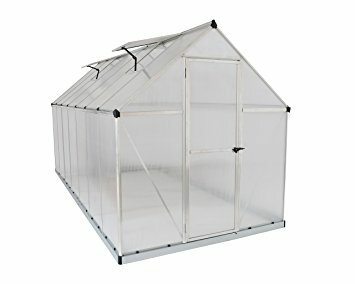 The Palram Mythos 6 x 4 Greenhouse Silver is the perfect growing structure for hobby gardeners and comes equipped with twin-wall polycarbonate panels. 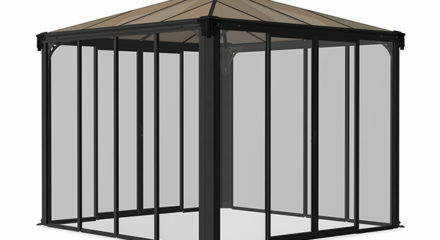 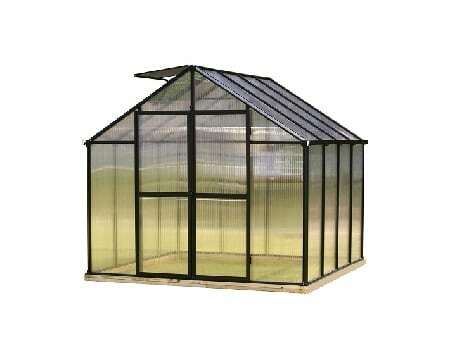 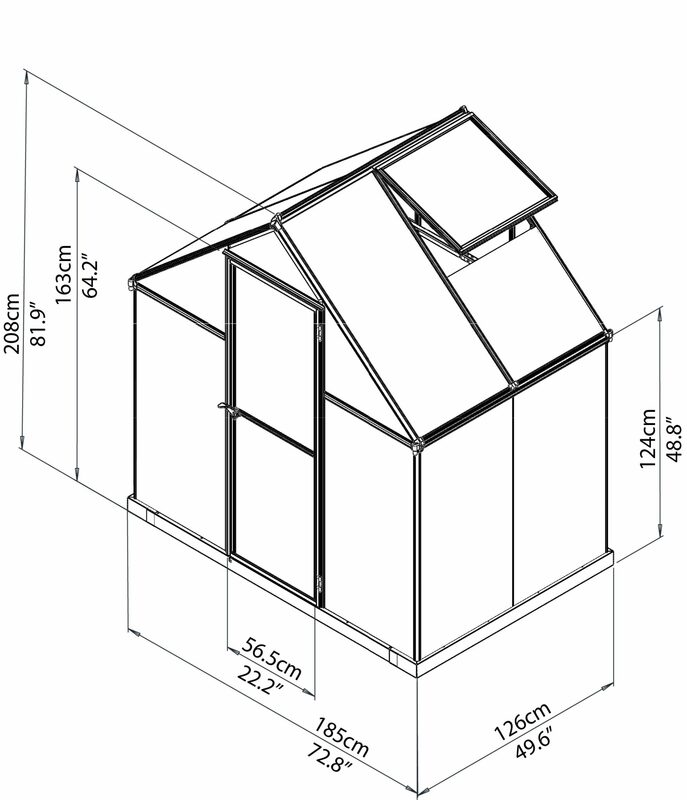 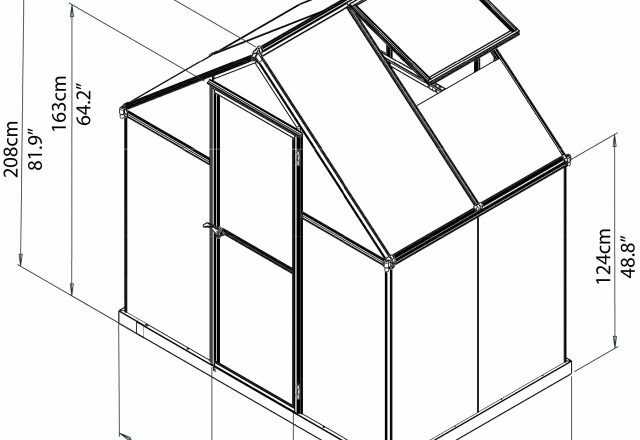 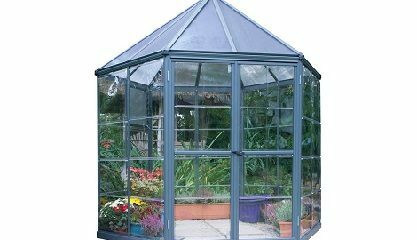 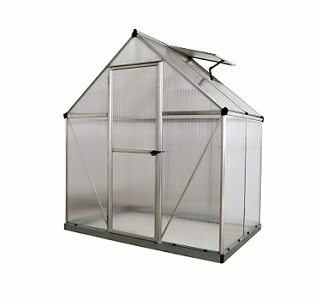 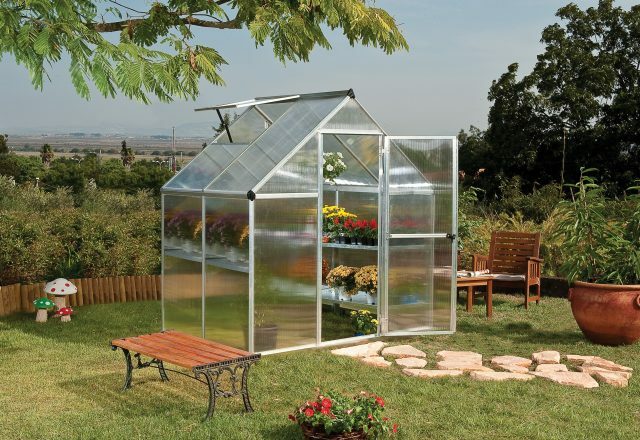 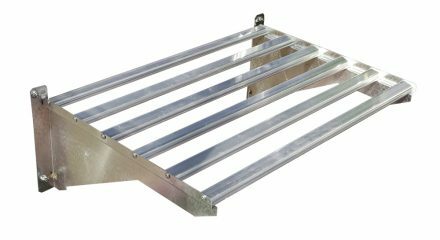 The Palram Mythos 6 x 4 Greenhouse Silver is the perfect growing structure for hobby gardeners. 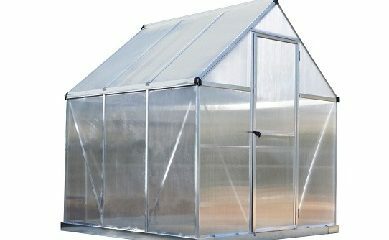 Equipped with twin-wall polycarbonate panels and a durable frame, your growing needs and wants are met under one roof. 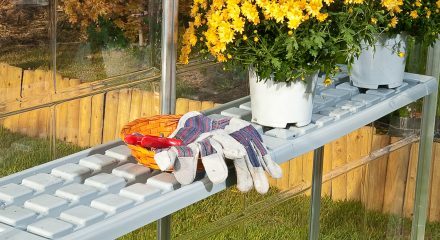 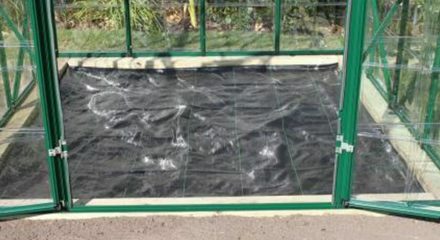 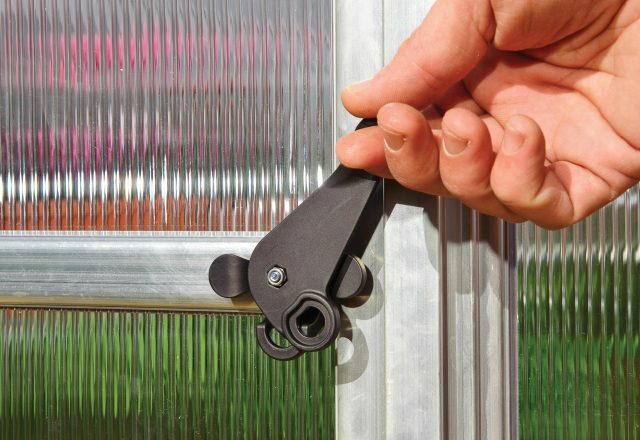 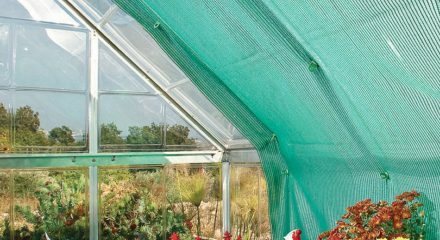 Get a healthy head-start on your garden with light management through Palram’s market leading twin-wall polycarbonate. 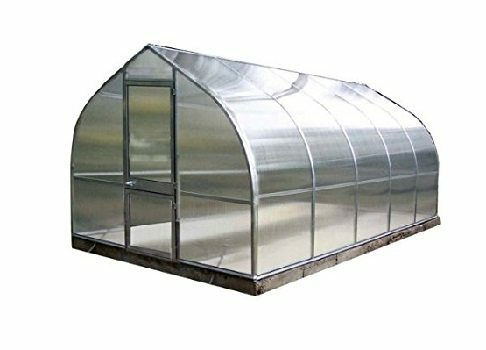 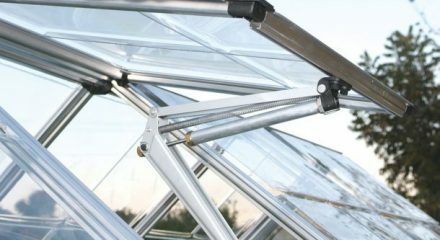 Twin-wall polycarbonate is the leading choice for quality hobby greenhouse coverings because of its durability, light diffusing properties and heat retaining ability. 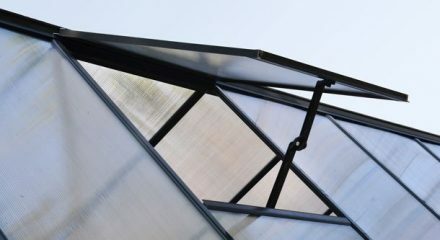 The twin-wall roof and side panels on the Mythos block 99.9% of harmful solar UV radiation and create a system of diffused light, which helps maximizes plant growth and eliminates the risk of plant burn and shade areas. 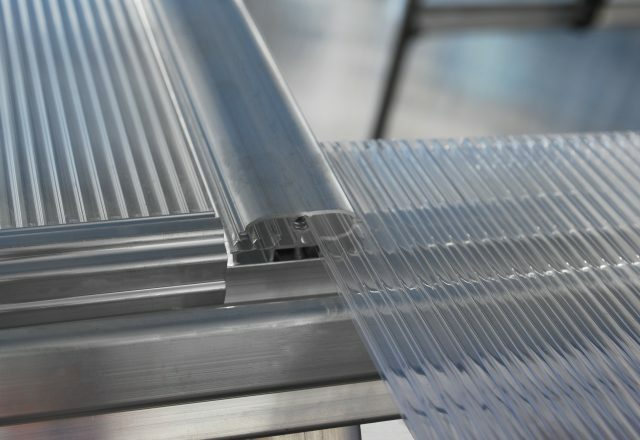 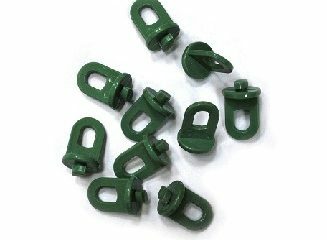 Palram’s version of this virtually unbreakable polymer is made only with virgin materials that won’t become brittle or discolor over time. 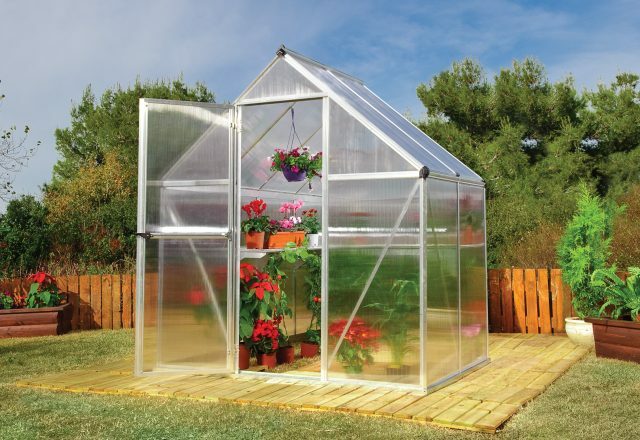 Featuring a rust-resistant, brushed aluminum frame and heavy-duty galvanized steel base for structural support, the Mythos 6 x 4 Greenhouse Silver is designed to stand for years to come. 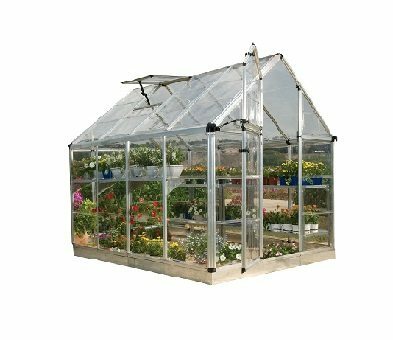 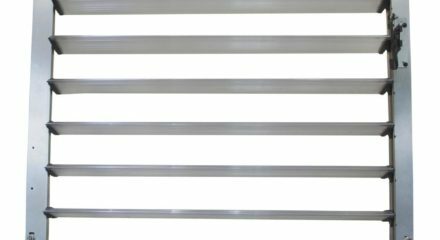 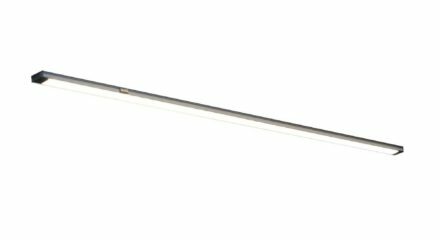 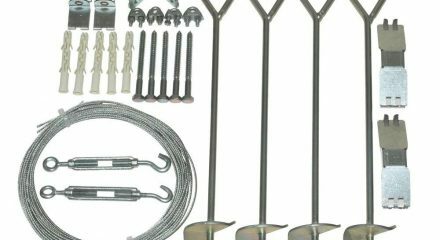 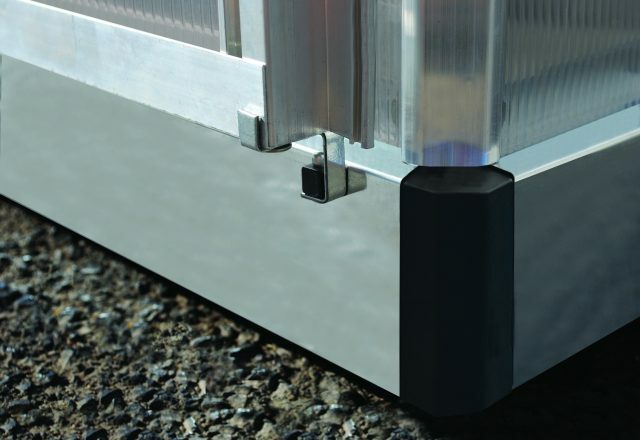 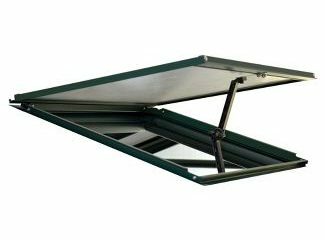 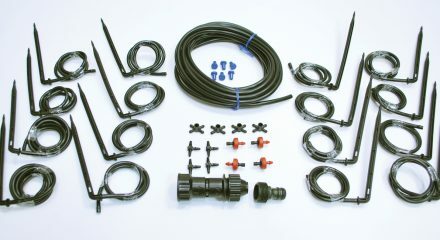 Other features include integrated rain gutters to channel water for sustainable irrigation, a magnetic door catch and one roof vent to help moderate air flow and temperature to maximize growing conditions. 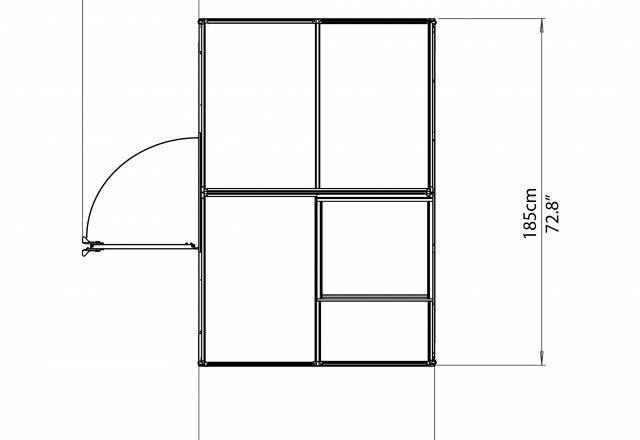 Snow load: 15.4 lbs. 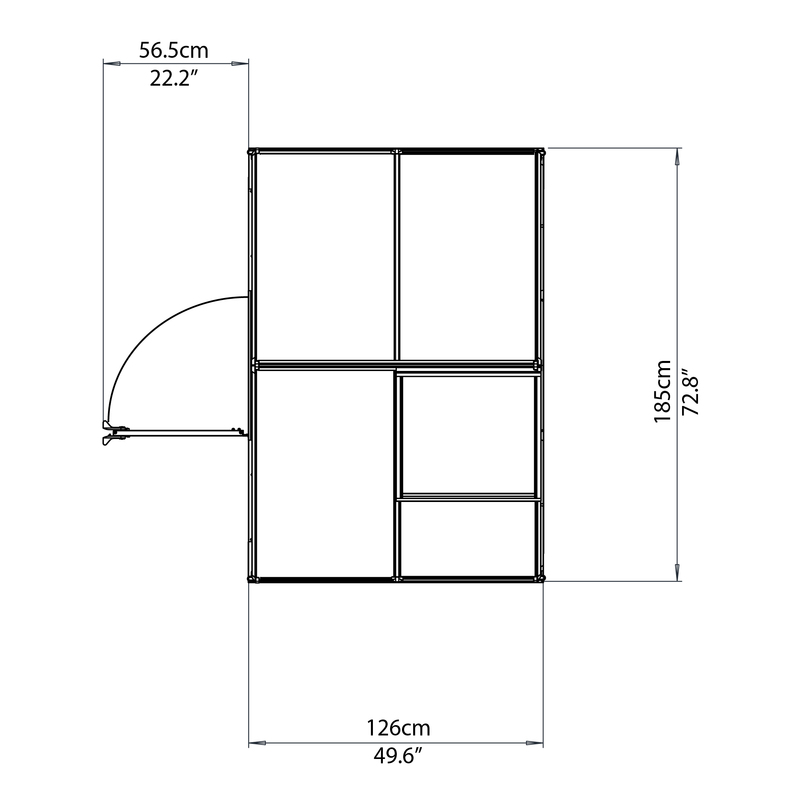 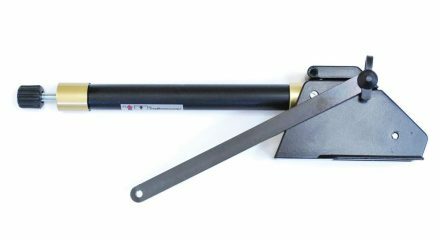 per sq. 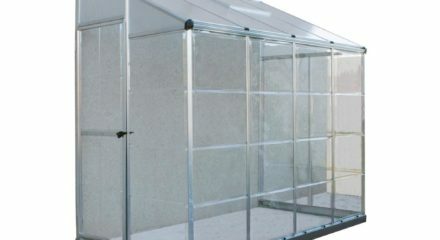 ft.